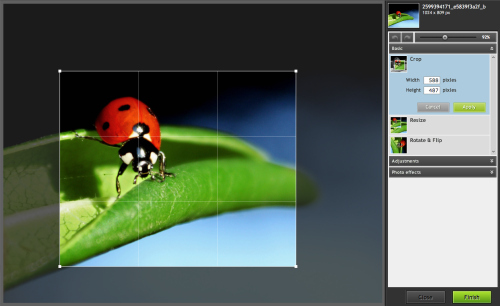 This works very much the same way you would build an image gallery. We’ll go over each step below. Click your “Add Media” button as you normally would. When you get into the Media Library, on the left you will see an option to create a video playlist. When you click that, all the videos in your Media Library will appear. Select the ones you want. Next, in that same bottom right-hand corner, you’ll now see a button to “Insert video playlist.” Click that and your playlist will be inserted. Once you insert the playlist into your post, that’s it. But there’s still an issue. As it stands, there is no image representing the videos. Your playlist will look like this. Obviously that’s not ideal. And it would be nice if there were an easy way to fix it. That should be coming in future versions. But there is a solution for the time being. Go into your Media Library and hover over the video to get the “Edit” link to appear. Then click to edit the video. On the right hand side, you will see a spot for “Featured Image,” just as you do with a post. Insert your image there. The image you insert for the first image is what visitors will see on the page. But the other videos will still have that unattractive stretched out video icon. When the other videos begin, that image will appear momentarily, so it’s up to you if you want to apply a featured image to all your videos or not. Here’s what a completed playlist will look like. 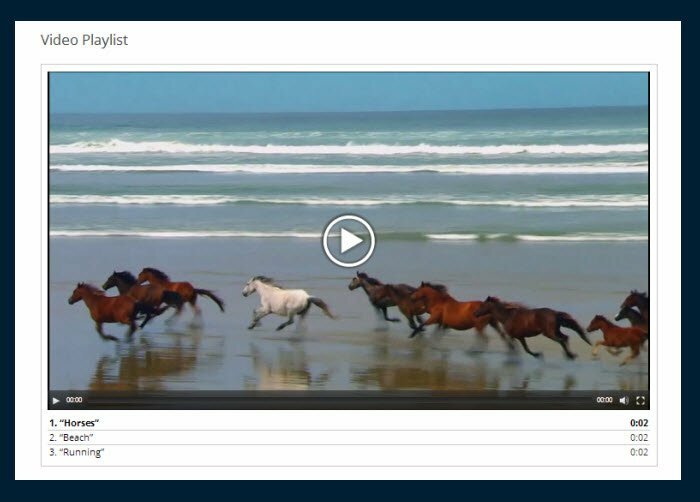 Audio playlists work in the exact same way as video playlists. You can also assign a featured images to audio tracks as well; however, those are much smaller, and so it will probably make much less of a difference if you decide to forego the images for audio files.